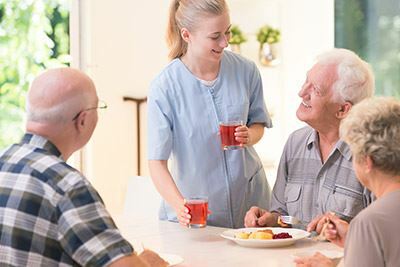 Loss of appetite is a common problem in older people living in nursing homes or assisted living residences.1 It can contribute to weight loss, nutritional deficiencies, and poor healthcare outcomes.2 For caregivers and staff of long-term care facilities, understanding the cause behind an apparent lack of appetite can go a long way in ensuring that daily nutritional needs are met. 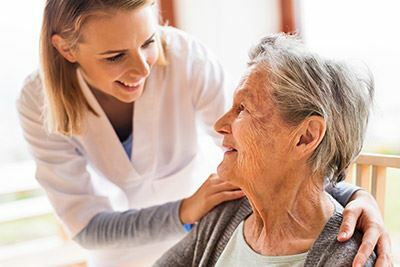 Medications: For many residents, treatment for health issues may be decreasing their appetite. Medications have appetite suppressing side effects, and treatments that result in nausea can also limit food intake. Dental problems: Dentures that don't fit well can cause discomfort in the gums, which may make eating solid foods painful. AliMed has a wide selection of high-quality ADL products that help promote patient independence, including our red dinnerware sets. Learn more here.